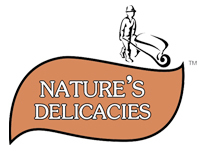 Nature’s Delicacies is a distributor of healthier alternatives snacks and food. Established in January of 2013 Natures Delicacies has seen progressive growth year on year and built a solid foundation with major retailers and independent stockists throughout South Africa. 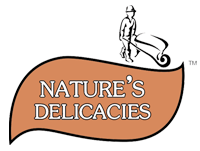 Nature’s Delicacies was founded by Tony Symeonidis who began his career in the FMCG trade back in 2001. Tony has over the years developed extensive knowledge within the industry of what it takes to establish a brand. He is involved in the running of Nature’s Delicacies and committed to building and maintaining a sustainable company for all concerned – customers, staff as well as suppliers. The Nature’s Delicacies Food Safety Certified Office and Distribution Centre is located in Cape Town. From there the team manages a national and international logistics footprint as well as coordinates its national sales force throughout South Africa to ensure we are well represented to receive the focus needed at store level. Our supply also tips over into a number of other neighboring Southern African countries. Nature’s Delicacies is proudly a successful FSA Audit Client adhering to stringent global Food Safety standards ensuring both the integrity of our products and infrastructure compliance. We adhere to and maintain the food safety requirements of all major retailers throughout Southern Africa. Our stockist’s include Dis-chem, Sportsman’s Warehouse, Cape Union Mart, Spar, Foodlover’s Market, Checkers as well as selected convenience outlets, online stockists and independents nationwide. We hope you get to enjoy one of our healthier made yummy snacks at a store near you and would love to hear from you soon!